I’ve returned to Mr Sparks for yet another love story. I feel like I’ve read enough books from him now to say that this was different in a dramatic and unexpected way. Denise Hilton moved to Edenton after her parents passed away. She’s a single mother working at a diner with an old car and an old house that needs a few things fixed, but she is happy. She has a son that she adores, and even though Kyle isn’t the easiest child it is then against the world. At least, until the night of the accident. Taylor McAden is a contractor and volunteer with the Edenton fire department. He is not afraid of dying. With the exception of his mother, he has no other family to worry about. He has been alone for a long time and can’t seem to fall in love for some reason. That is, until the night of a bad traffic accident. I feel that this book starts out very strong. It starts very differently than the other stories I’ve read from Nicholas Sparks. Instead of a kind of mellow, calm situation we are almost instantly thrown into action. I was a little surprised by this because it was unexpected! Throughout the book, there is a more dramatic flair to the storyline that I’ve been used to. It is well balanced with the rest of the book and it kinda leaves you guessing what’s going to happen next. I did not see the ending come until I was nearly in the middle of it (I won’t say any more because that’s going to spoil everything). This is a heartbreaking story in many ways. We meet a woman who loves her son so deeply and will do everything within her power to see him succeed and be safe. We meet a man who can’t keep his past from destroying his future. We see how a little southern small town can really be all you need in life when life is just right. This last part is something that I feel Nicholas Sparks is very good at. He always makes me want to move to a southern small town and just settle within a quiet society through his books. I have already lived a year in a small town in Minnesota, which was quite an experience very different from many other things I’ve done thus far in my life. This charming bubble that Sparks creates for me lasts until I’m finished with one of his books and then open the news and see whatever Trump is up to and I remember what comes with this book dream of a southern town. I think I’m just going to stick to my book dream and forget about the news haha. 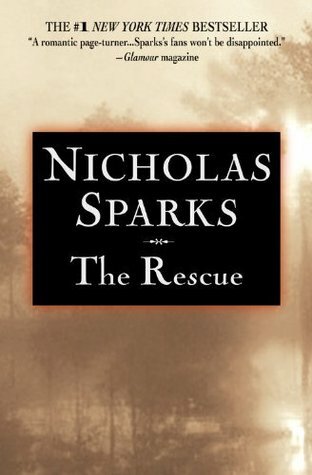 If you’ve read a lot of Nicholas Sparks’ books then I think you’ll find this different. If not in the outcome, then at least how the story progresses over the pages. To me, it was refreshing to read something a little bit different from the King of Love stories. There have been speculations about a movie based on this book, but so far I haven’t seen anything on IMDB, have you guys? Neste innlegg The London Harry Potter Tour!